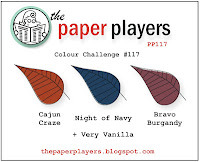 H2 Designs: The Paper Players Challenge #117 - Colours from Jaydee - Triple Time Bleach! 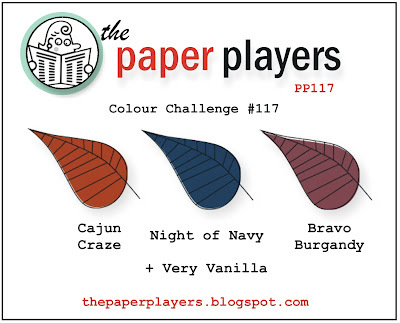 The Paper Players Challenge #117 - Colours from Jaydee - Triple Time Bleach! I also used two new stamp sets - Everything Eleanor & More Merry Messages. I quite like how this turned out, even though I smell like I've been at the pool, lol!